On Thursday morning, West Pierce Fire & Rescue was challenged to the 1st Annual Curtis High School Chili Cook-off. 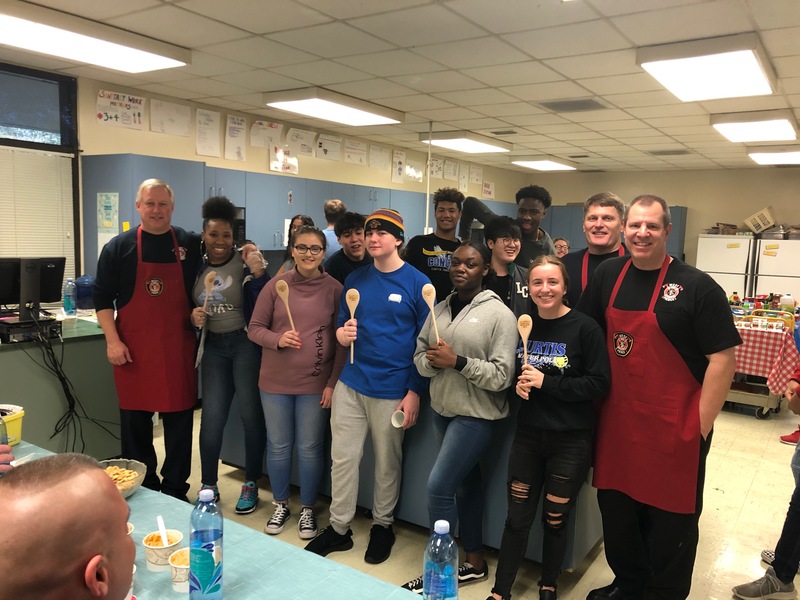 Despite firefighters’ best efforts, the CHS culinary students in group 4 took home the coveted wooden spoons and edged WPFR out for the win. A big thank you to Curtis High School for the invitation and to the University Place Police Department for judging. This was a wonderful community event and West Pierce was thrilled to be included. Full disclosure: We really weren’t edged out. We came in dead last. We considered bringing donuts for bribery votes and even snuck in some smoke alarms to try and disqualify some competition. None of it worked and those kids worked hard! Firefighters are now working on perfecting a new recipe in preparation for the next semester’s competition.